AS THE MINING INDUSTRY IS AN EXTREMELY SMALL, TIGHT-KNIT COMMUNITY, THE CONSULTANTS AT THE MINING RECRUITMENT GROUP ARE COMMITTED TO PROVIDING 100% CONFIDENTIALITY TO ALL OF OUR CANDIDATES. CANDIDATE INFORMATION WILL NOT BE DISCUSSED WITH OUR CLIENTS UNLESS WE HAVE BEEN GIVEN CONSENT TO DO SO. Despite the challenges the Industry is currently working its way through, demand for experienced, skilled professionals within the Resource Sector is only going to intensify as the generational shift causes the skills-gap to widen. With 39% of Mining Executives planning to retire from full-time employment within the next 5 years, those professionals that remain will be coveted and competed for, unlike anything the Industry has ever seen. With this in mind, we at the Mining Recruitment Group work closely with our candidates, to ensure that the opportunities in which they are considering are the best ones available for them within the marketplace. 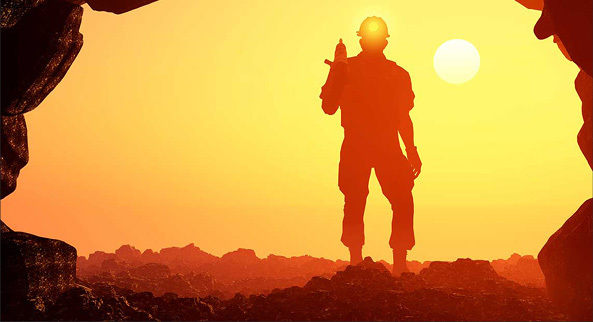 With good people being extremely hard to come by, The Mining Recruitment Group strives to maintain the highest level of professionalism on behalf of the candidates in which we work with. It is our commitment to consistently follow up with our candidates in regards to client feedback, new opportunities, and with both good and bad news. Our consultants are always interested in speaking with professionals within the industry, regardless of whether we have a suitable position advertised or not. As we have our finger firmly on the pulse of the current employment market, we may be able to help out by providing guidance, as well as directing you to employers whom we may know that would be in need of someone with your skill set. We maintain ongoing communication with our clients and candidates so that we can eliminate any nasty surprises for all parties concerned. Some might say that we spend too much time communicating, but in our business it pays dividends without fail. Industry focused, client oriented, candidate driven. THE MINING RECRUITMENT GROUP DOESN’T ADVERTISE ALL OPPORTUNITIES PUBLICLY. THOSE INTERESTED IN ASSIGNMENTS NOT LISTED ON THE CURRENT ASSIGNMENTS PAGE MAY SUBMIT THEIR CV & COVER LETTER BELOW.